Are there any regions left in American history? Nota Bene: This is a post of interest mostly to American historians, although I would certainly welcome the thoughts of other historians about the role of place or geography in their sub-fields. Here’s my question: is there any such thing as regionalism in American history any longer? Northeastern history was always a regional history, but historians (many of whom lived in and/or trained in the northeast) for the most part denied that it was a regional history and instead claimed to be writing “American history.” There are regional and state-based history associations like the New England Historical Association, but there is no Northeastern Historical Association. 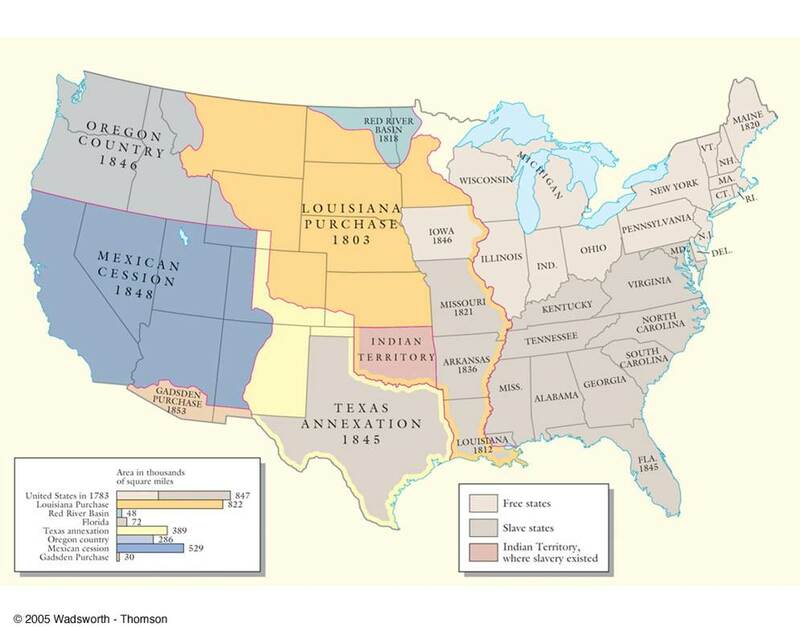 Western history used to be much more about place, but I think the consensus has shifted to seeing the West–and more broadly speaking, what used to be called “frontier history” and is now called most often borderlands history–as more of a process than a region. That is, diplomacy, trade, and violent conflicts between Native Americans, Euro-Americans, and various other ethnic groups, depending on spatial and temporal location (Chinese immigrants, Latinos, and African Americans, for example), are a central part of American history from the Columbian “discovery” to our contemporary debates about immigration and border security. There are Western historians who would defend more of a place-based definition of their field, but my sense as a Westerner (but not a Western historian) is that that view is on the decline. There is in fact a Western Historical Association, but having attended a few of their meetings when they’ve passed through Denver, I surely have felt plenty comfortable participating in conversations there. What’s going on at the WHA seems to be what’s going on in the profession more broadly. The only subfield that seems to be holding out for the distinctiveness of a particular region any longer is Southern history (surprise, surprise.) The Southern Historical Association (or, “the Southern” for short) and its members are probably more committed to a regional view of history than any other historians, but there are cracks in the foundation even there. A friend of mine who recently reviewd a book on Southern history has told me that it actually made a strong case for the subject of the book as something not distinctly Southern. This seems to be a new trend, although I’ve read a few recently published books that argue for regional distinctiveness, too. The way things have changed in my field of early American history is instructive, I believe, about the way things are going (or have already gone.) My training in the northeast 20-25 years ago was very regionally-based, although those were the sub-regions of colonial British America: New England, the Middle Colonies, the Chesapeake, the Lower South, and the Caribbean. That was diversity in the 1980s and 1990s, with one week tossed in for “women,” one for “African Americans,” and one for “Native Americans.” (Forward-thinkers would also include a week on “the backcountry,” which meant mostly Kentucky and the Ohio River Valley.) Now when I teach at both the undergraduate and graduate level, I wouldn’t dream of using this class organization, and I tend to focus on more conceptual or methodological issues, like environmental history, the history of slavery, women’s and gender history, the history of the body, the history of sexuality, history and memory, religious encounters, and the like. What do the rest of you historians think? Is region dead, replaced by more conceptual or process-based analyses and/or studies that aren’t regional but are rather intensely local? Why has this happened, if indeed it has happened? Is it happening outside of U.S. history in any other national or continental histories? Is this a good or a bad development, in your view? ← The fantasy life of Whig historians, or, Srsly, Tina? For the death (or at least decline) of southern history see Matt Lassiter and Joseph Crespino’s excellent collection, _The Myth of Southern Exceptionalism_. In my new book I discuss how southerners and northerners deployed regionalism in the struggles for and against civil rights. But I try to demonstrate how the local is the more accurate subject of study and can reveal, for example, all that Birmingham and Detroit have in common. I think regionalism as a way of organizing fields is definitely on the wane. But as a subject of study it remains fascinating. It has been some time since I spent a lot of time in the US, but I thought that southwestern history (Arizona, New Mexico, and northern Mexico) was fairly viable some five years ago or so. Maybe the issues of the southwest such as water, immigration, border demarcation, and native-settler relations have all been absorbed into a larger thematic US history now. But, it seems to me that the area has a lot of regional distinctions that mark it as different from the rest of North America. As far as other regions of the world there is Central Asian history separate from the Russian Empire/USSR. Although the centralized and authoritarian nature of both the Imperial and Soviet states makes removing the role of St. Petersburg or Moscow impossible. The same would be true with the Caucasus and other regions. There are a couple of PhD students here doing topics related to northern Ghana as a region distinct from the Gold Coast and Asante regions. But, research here dealing with West Africa or even English speaking West Africa rather than only on Ghana seems to have declined significantly. So now the regions being studied are within Ghana, a relatively small country especially when compared to giants like Nigeria, Sudan, Congo or even South Africa. So the trend here is towards micro regions. I think Atlantic history (which can also be seen as process as much as, or more than, place) is helping broaden Southern history, too. I think this is fascinating, given the growing tendency in political science to de-emphasize American politics in favor of a more comparative approach. Of course then you run the risk of missing out on absolutely critical contextual influences by aggregating too far upward. As a Southerner who’s left his home region, I can tell you that however the historical discipline may be treating regionalism, it is still has extraordinarily powerful influences. Liz and arbitrista hit on a major reason I think this is happening, and it’s because of the rise of comparative histories more generally, and of comparative paradigms like Atlantic World history. I think it’s been largely a very healthy development, but I wonder if we’re just substituting one region for another, with international rather than intra-national comparisons. I differ from Dr. Pohl here on Central Asia being treated separately from Russia/the USSR. Our historiography has also been moving in a more trans-regional direction, placing various iterations of Russia in the context of Europe or Turko-Mongol steppe civilizations. Depending on the historian, Central Asia can be treated in the Soviet context (my own emphasis) or as part of the larger Turko-Persian or Chinese worlds. But that’s Western historiography; among today’s Russian or Central Asian historians the tale of the continuous nation still dominates as the state-enforced narrative. I know a few American historians who are still strangely (to me) devoted to the incomparability of US history, which seems to have an emotional as much as a political basis. Well when I got my MA and PhD (2002 and 2004) at SOAS the graduate courses on Central Asia conducted by Shirin Akiner emphasized a regional historical approach. While obviously Russian and Soviet policies are impossible to ignore there was almost nothing regarding other regions of the Russian Empire and USSR covered in the class. I think Dr. Akiner made us read every book that had been written in English on the region at the time and most of them covered it in a regional manner. Maybe things have changed since then. I did notice the attempt to create artificial national state histories going back centuries when I lived in Central Asia from 2007-2010. But, that is not really history it is mythology. I also got the impression that very few people especially young people cared very much about the last couple centuries of history. Everybody wants to study business and before that it was politics. Wow, this is a tough (by which I mean weighty) question this late in the semester! I think I have to ask for an extension or an incomplete. I have a class to teach that started, um, five minutes ago (they’re circled up in discussion groups now). We have a phrase around here “brain dead by April.” Anyway, if my dog had eaten this one I’d dissect him on the spot to get it back, I definitely like this topic–I’ll try to join in tonight. Can I still at least get any points? Meanwhile, I’ve been interested in the potential of making the history of New England and the Northeast more explicitly regional, for precisely the reason Historiann identifies. Now that the histories of this region are no longer taken to stand in for the history of the United States generally; as political, cultural, and economic power shift away from the region; and as the region comes to stand apart from the rest of the country in a range of ways (public policies on gay marriage, rates of religious belief, voting patterns, etc. ), I think an expressly regional approach, especially to the history of the last century or so, could be quite interesting. I haven’t yet pursued the project much further, but I’d be curious to hear what others think. Perhaps the nation state is the new “region,” given the current trend of focusing on comparative/global/Atlantic history? From an American Studies perspective, regionalism lives. Not a few universities in New England specialize in “American and New England Studies,” for example. And then there’s the regional history produced by museums, historical societies, and centers for the study of various cultures. I think the region is alive and well, but like all of our terms and units its subject to a bit of healthy tweaking from time to time. I’m glad that American Studies was mentioned, because I did wonder upon reading the initial post if perhaps many historians had left regions and regionalism to the “studies” fields. I teach Maine Studies (you’ll never guess where!) and we give considerable time to what makes a region, and whether it is a physical or a cultural unit, or, more likely, both. But I’d also add that in my work as an environmental historian I find regions still command some scrutiny. I’ve been inspired in large part by Dan Flores and his ideas about bioregions. My work looks at the problems created when bioregions, areas defined by ecological similarities, fail to match up neatly with the more standard political limits of counties, states, and nations. When dealing with fish stocks that straddle multiple jurisdictions (and places devoid of jurisdiction) within the North Atlantic I need something more robust and more flexible to work with than some of our more conventional constructions of the region. I don’t want to speak for others, but are we finding here that regions persist, but that we have had to adapt and remold them to our new forms of questioning? It’s nice to know I’m not the only Russianist/Central Asianist reading this blog! (And, sorry, in advance, for highjacking the thread!) I’d say the study of Central Asia is not so much about the region as it is about process – nomadic-sedentary interactions, state and empire formation, the creation and disintegration of trade networks, Mongol-Turko-Persian cultural exchange, etc. In fact, what might be considered Central Asia shifts over time. Today, we often think of Central Asia as the 5 post-Soviet ‘stans (and maybe Afghanistan, too), but, if we were talking about the 15th century, we’d have to include parts of South Asia. If anything, the issue of Russian/Soviet influence on Central Asia (including how we define the region) is an example of how much history as a discipline is focused on the modern period. (And I say this as someone who studies the Russian empire in Central Asia in the 19th century.) There’s so much of Central Asian history that, as N. Barbarian noted, has more to do with China or India than Russia.. The problem is that doing some of the work that would needs to be done requires pretty awesome linguistic skills. As an outsider to US history (and the historiography), I’m always pleasantly surprised at how many comparisons can be made with Russian historiography. From what I understand, both have made “imperial turns” (in the sense of recognizing the “nation-state” as an imperial power) quite late, both have been/are plagued by persistent theories of “exceptionalism,” and both have been shaped by a focus on regionalism. “Regional study,” or kraevedenie, is much more of a thing in the Russian-language historiography, but even my exams were divided into regional chunks: Siberia, the Caucasus, the Volga-Ural region, the Western borderlands. And classes would often be taught by region – if the world outside of Moscow/St. Petersburg was discussed at all. When I think of how I would organize classes in the future, I always think of teaching thematically. But that would also depend on how much work has been done in certain regions on these topics (from my perspective, the English language lit on gender/sexuality in the Russian Empire is pretty thin). So, I’d like to see continued work on regions that helps us understand a particular theme in that region better, but also thinks about how the particularities might compare to other regions w/in a national or imperial space and doesn’t loose site of the fact that some regions at some points in time transcend national/imperial boundaries. Can we have intra-national and transnational cakes and eat them, too? I would certainly agree that the hey-day of the classic “Five Regions Plus Three Neglected Categories” framework that you encountered in grad school is over, Historiann, but I’m not entirely sure what meaning(s) we should attribute to that. Often at least some of the best work under any regime of disciplinary analysis is or can be done after the crowd has moved on to find the next party, and for humanists, at least, the Kuhnian category of “normal science” has a somewhat undeservedly bad rap or sense of undervaluation. Early Americanists tend to be extensive more than intensive cultivators, just like actual early American farmers seem to have been. So at least some people might want to hang around in the thinner-populated former frontcountry, enjoy the shorter waiting times for various resources, and graze on questions that got asked but never answered. It’s also ambiguous just what ever integrated that “Five Region” framework up and down the Atlantic coast. Old New England hegemonists, to about 1940, just thought there was something in the air of the New England “Mind” that made their history stand proxy for history itself. The later breaking community studies school thought you could isolate some essentialism in small sub-molecular places, and whatever can be said for or against their accomplishments, they did give more due to the worthy intellectual practice of replication than most other historians before or since ever have or probably will. The restlessness that later emerged for it all to somehow “add up” to something may have simply missed the boat, or rather the point, and we may never know why. That “school” of practice never really transferred well to other clusters of colonies west and south of the Hudson, whether for behavioral or evidentiary reasons, so what “region” meant had to be renegotiated on other bases. Most historians it seems pretty much just want to light out and roam around in new pastures on a fairly regular basis, and we may just have to live with both the strengths and the liabilities embedded in that metabolic or temperamental disposition at the herd level. In the end, tools are put down, scaffoldings are stored away (and often lost track of), and what probably endures is what they were able to recover rather than how. I guess seeing the technological detritus of the once-on-fire Philadelphia Social History Project do hard time for a decade locked behind mesh wire in an open stack library and then get carted off overnight to a boneyard somewhere took the edge off the rule of the tool for me. p.s. How the hell did the “Red River Basin” (du Nord, it should be said!!) ever make the graphic above as a category of *any*thing? And I also have to confess I’ve sometimes archly said that if I ever come to work and find my colleagues locked in a big water cooler argument over a hot topic like “the Gadsden Purchase,” I’ll just keel over and go home happily right on the spot! Nothing profound to add, but out here, California studies is alive and well. I’d like to pose a version of this question to my Canadian history colleagues. I know that courses in Atlantic, Quebec, Ontario and Western history continue to be offered in many places. Some of that’s regional, some of that’s provincially divided but I have no idea how much this is still reflected in the scholarship! I wonder – thinking about the British history situation, whether the turn to more cultural history is also part of this? But I also suspect that interest in place will bring back the regions, though they may be constituted differently..
@ Susan – I think you’re right. While I imagine that environmental history can happen on the local-only scale (like some of the recent urban environmental and architectural histories), a regional approach seems more fruitful (thinking of Walsham). I think Perpetua and Rob Gee are right that environmental history can also be a (bio)regional history, but that those bioregions tend to cut across or render irrelevant political or other intellectual boundaries that have guided our studies previously. History Maven, I’m not surprised that regionalism is still big in American Studies, but I think that’s because American Studies, at least as traditionally defined, hasn’t participated as much in the transnational conversation as other sub-fields have (for obvs. reasons, perhaps.) And you and Susan are right–different regional studies centers are still thriving in their rooted locations (New England Studies at Boston U., California Studies in CA.) And public history in general is almost always a place-based history, too. Thanks to everyone who has contributed to the discussion–I’m sorry, but I’m swamped right now with all kinds of stuff to deal with in my day job. Drag!!! Perhaps it’s because American Studies is by definition interdisciplinary that it pivots a lot faster to engage new theories and methods. Discards them pretty darn quickly, too. One big-time historian told me that she thought American Studies was the test crash dummy of the humanities. There’s another spatial dimension that intersects perhaps awkwardly with regionalism, and that’s directionality–the embedded notion that some histories just naturally “flow” in one direction or another. In our American history surveys (we’re formally required by the educrats over in Lower Paxtonia to call them “U.S. History,” but many of us subvert that on the linoleum killing floors of the classroom) I try to begin by cutting against this grain before getting swept up in westward-trending currents of the standard model. Thus from Siberia east and then down the Pacific Coast of two continents (a standard move by now). Then from Peru to Mexico to Pueblo to the Mississippian and Ohioan mound societies to the wretched little rock shelters and campsites of Alleghenia. Across the Arctic Rim from Alaska to Newfoundland. Then the hop-scotching of sugar culture west from the Mediterranean basin to Brazil and the Caribbean can reverse the floodtide with at least some hope of the ground having been prepared for complexity. At least then, when you get back to places like the Mississippi Valley in the mid-19th century you can say things like “the last time we were through here it was different, wasn’t it?” Students do get seasick with this sloshing back and forth, but most recover. That said, I still like the Murrinesque motif of the sixteenth and seventeenth century Atlantic as a “prism,” splicing a barely-integrated English culture into a spectral series of very different mutants, which become the seeds of regions. It depends what you do with them after that, and I think cross-hatching the plowground west of the coastal landing places before you start off can at least put you in a position to subvert some of the whiggish tonalities of the standard model. I’m not sure I agree with the idea that the WHA is dominated by process (as opposed to place) people. I’m more in the latter camp as a twentieth century West person and so I had to think long and hard about was the twentieth century West different from the rest of the country. I decided yes on that question and I think a lot of other folks did too. You can find a lot of regionalists at ASEH and AHA-PCB too. But a lot of us regionalists are also redefining regions b/c of trans-national history so Western history may not be as important going forward as Pacific Rim, Great Plains History and Inter-Mountain West history. These tensions have been there since the beginning in Turner vs. Bolton. Interestingly, although all Americanists read Turner’s “Significance of the Frontier” essay, few of us read his essay, “The Significance of Section” which is really just better. This is a great question and a fabulous discussion. From the perspective of the job market, I’d say that the South is still viable as a region (at least in the South), given that there are positions that open up in Southern history. In general, I think Atlantic history has both broadened and narrowed our views of early America. Many works (especially by senior historians) take a very broad lens to early America and look at the Atlantic (or even, in cases such as Alison Games’ Web of Empire or Maya Jasanoff’s Liberty’s Exiles, the globe). For more junior scholars producing their first books, much recent work focuses on a single location (or two to three in a comparative study) and how it looks in Atlantic perspective. I’m thinking of work like Ellen Hartigan-O’Connor’s The Ties That Buy, which compares Newport and Charleston as Atlantic ports, or Seth Rockman’s Scraping By on work in early republic Baltimore. The case study lives. I’m not suggesting that more regional histories no longer exist, of course, but I do agree that the context of the mass of historical literature has shifted to encompass and perhaps encourage thinking about the local and/or the imperial/continental/oceanic instead of the region.